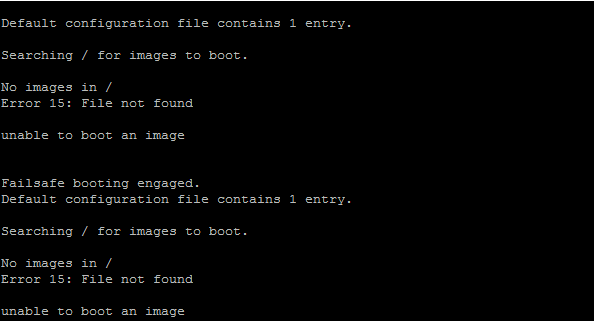 Today I have experiencing problem with Cisco-ASA that cannot boot to IOS image. We need to go to ROMmon mode by hit the Ctrl+Break during ASA boot up. After erase data completely, configure ASA to boot image from tftp server to get into CLI for upgrade IOS normally. *This is not about to upload IOS to ASA’s flash, It’s just boot from TFTP server. When you get into CLI mode configure the management interface for upgrade IOS. Or you can go to Pre-configure Firewall then following the step to configure the management interface. 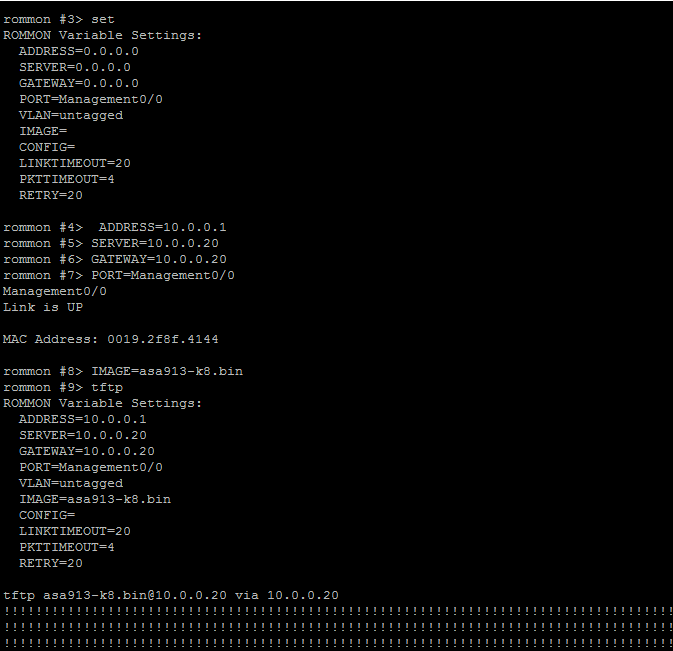 Use copy tftp command to download IOS and ADSM from you TFTP server then reload ASA. If you experiencing that ASA keep booting to rommon mode, You can do following to fix.